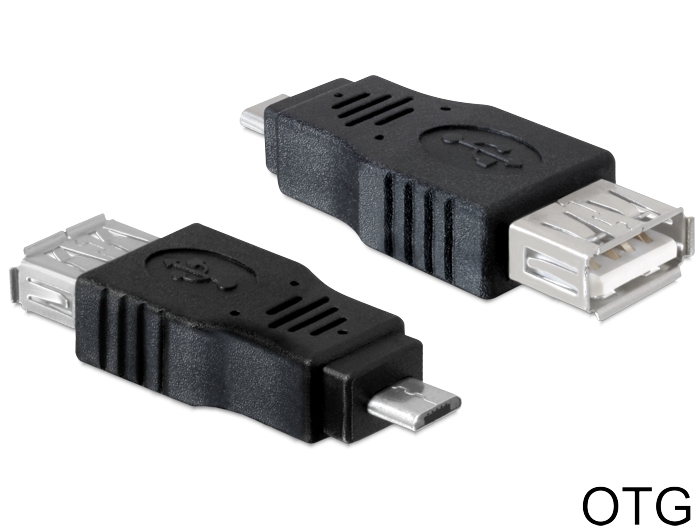 This USB micro adapter by Delock enables you to convert the USB 2.0-A male port of your device into a USB micro-B male port. Thus you can connect e.g. HDDs, memory sticks with standard USB port to mobile phones, smart phones, tablet PCs etc. with OTG support. The OTG function enables a direct data transfer between your mobile device and the USB device, without connection to a computer.